After seeing that there was some potential in the 7-inch tablet market, Apple finally relented and created their own version, the iPad Mini. And the announcement of the iPad Mini has been a cause for celebration for everyone who’s a fan of Apple’s products. Starting at $329, the iPad Mini is the cheapest iPad ever but some people think that it’s still too expensive for what the device is offering. Google seems to agree and perhaps in an attempt to steal some of the iPad Mini’s thunder, the price of the long rumored 32 GB variant of the Google Nexus 7 has surfaced. “A tip from one of our readers… Latvian online store ‘1a‘ has preorder pricing and availability online for the Nexus 7 32GB 3G. 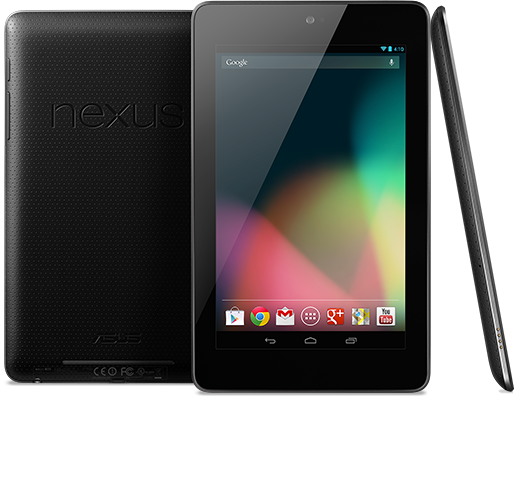 “Yes, you read that right – it looks like the 3G Nexus 7 will indeed be a 32GB model. That puts the 32 GB Google Nexus 7 3G at around $400. It costs a little more than the iPad Mini’s $329 but you’re also getting twice the storage space and 3G capabilities. So which device do you think will give you more bang for your buck? Will you pick the 32 GB Google Nexus 7 3G or the 16 GB iPad Mini WiFi? Discuss in the comments below!